Traffic Stop Ends in Arrest for Alabama Man :: RickeyStokesNews.com! 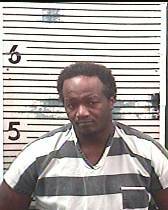 WESTVILLE – Holmes County Sheriff’s Office reports the arrest of an Elba, Alabama man following a March 28 traffic stop. An HCSO deputy conducted the stop shortly before 2 a.m. Thursday in the area of Highway 179-A and Braxton Lane, making contact with the driver, 35-year-old Lonnie Randale Frazier, who advised he did not have a valid driver’s license. A subsequent search of the vehicle resulted in the discovery of a syringe, as well as a pipe and a straw, both of which contained a crystal-like substance suspected to be methamphetamine. Frazier admitted to the deputy that he had “smoked meth with some friends” and that the straw had been used for “ice,” a more potent variety of methamphetamine. The deputy advised Frazier he was being arrested and asked if he had any other drugs on his person. The subject denied having any other narcotics at first but later admitted he had drugs hidden inside his person after the deputy explained bringing contraband into the jail would result in an additional felony charge. Frazier retrieved a bag from inside his person which contained a crystal-like substance suspected to be methamphetamine. Frazier is charged with possession of methamphetamine and possession of drug paraphernalia.